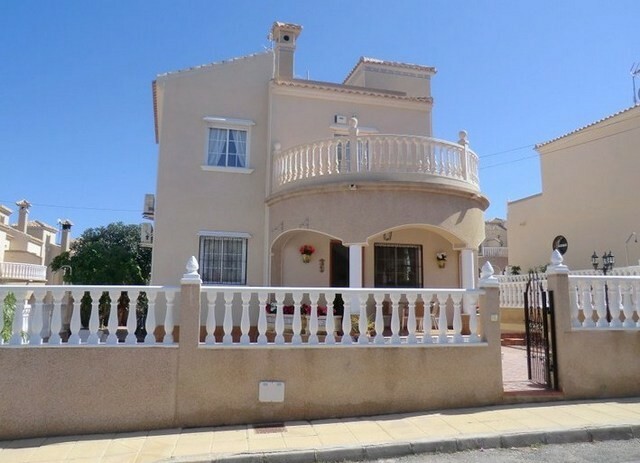 A spacious 4 bedroom, 3 bathroom detached villa located at the end of a quiet cul de sac within walking distance of the centre of Jalon. Double gates lead from the road to a long gravel driveway and a few steps leading up to the villa. The main villa is on one level and has accommodation comprising a naya/dining room, lounge with beamed ceiling and wood burning stove, American style kitchen, utility room and an inner hallway leading to three bedrooms and a family bathroom. The main bedroom has an en suite bathroom. Downstairs with its own entrance there is a large apartment with lounge, kitchen, bedroom and bathroom with doors leading to large storage rooms and workshops which could easily convert to further accommodation if required. 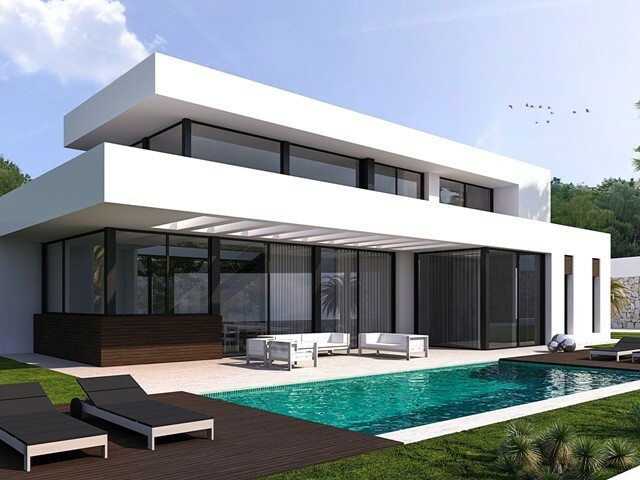 The villa has a large swimming pool and terrace with gardens and garage. 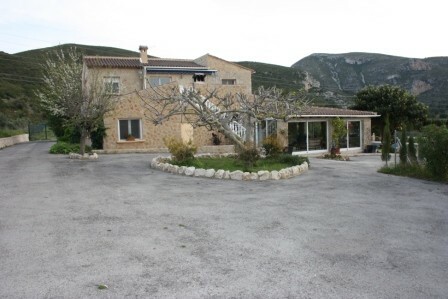 The vendor’s love this property for the large separate apartment and its location within walking distance of the village.